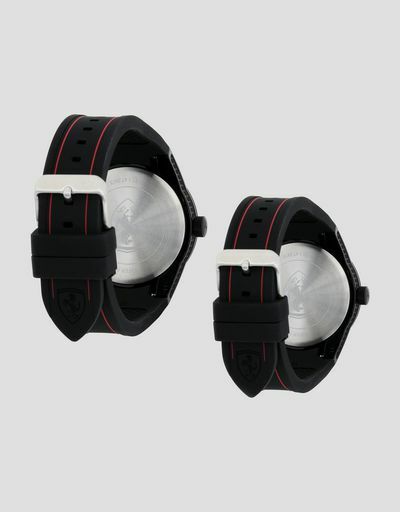 The exclusive set contains two RedRev watches featuring a bold design and dials of various sizes. 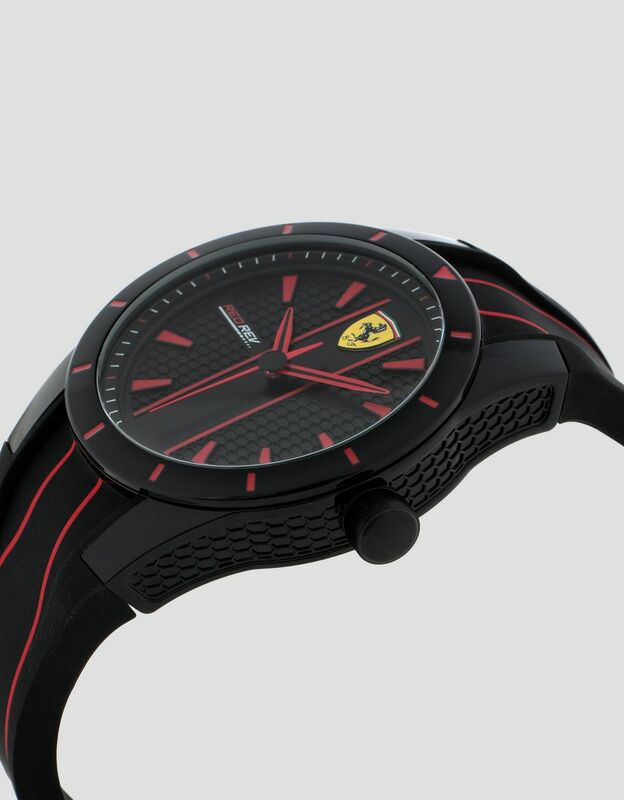 With wrist straps that echo a racecar's front grill and the striking honeycomb structure of the dial, RedRev watches express their athletic spirit loud and proud, emphasized by the bright red contrasts against a black background. 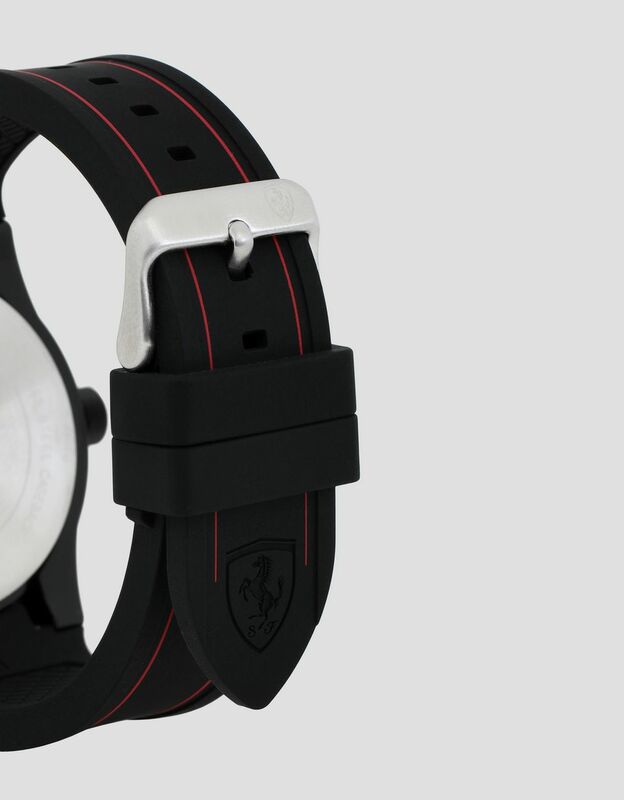 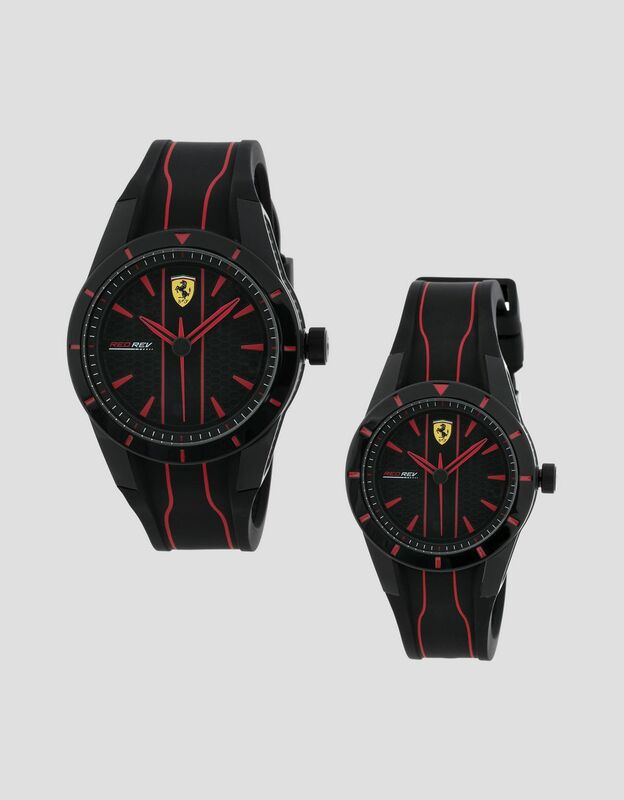 Personalized with the legendary Ferrari Shield at twelve o’clock, switch up which new RedRev watch you wear and always show your passion.